(CNS): A dozen new recruits graduated from the Immigration Department’s intensive six-month training programme recently and they will now go out and face the public in government’s busiest department. 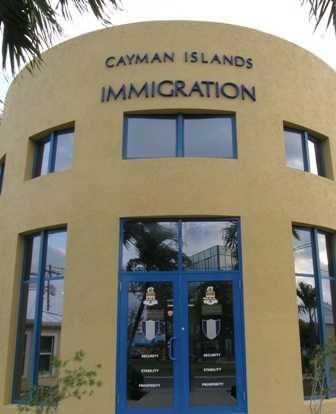 The new group will join the front line of the department’s deployments at the Cayman Islands’ air and sea ports having received practical and theoretical cross-training with other uniformed agencies that ranged from interviewing techniques to the proper use of a baton. Required to have a command of local laws, especially immigration legislation as well as an understanding of human behaviour, officers also learn geography, psychology and sociology. Chief Immigration Officer (CIO) Linda Evans encouraged teamwork, courtesy, respect and positive attitudes in the graduate’s new working environment. Deputy Governor Franz Manderson an ex-chief immigration officer told the recruits that will never have a second chance to make a first impression. “Be sure to work hard at all times,” he said. “Continue to be successful officers, while offering a warm Caymanian welcome to our visitors." After describing his own journey from Immigration Officer to head of Immigration, he urged the graduates to aspire to a similar career path. Qualifying as full-fledged Immigration Officers were Marquis Anglin, Samantha Brown, Erina Forbes, Arthur Isaacs, Eric Jackson, Kimberly Pitta, Shannette Rankin, Jane Salmon, David Terry, Nicholas Tibbetts, Timothy Walton and Sandy Whittaker-Mighty.